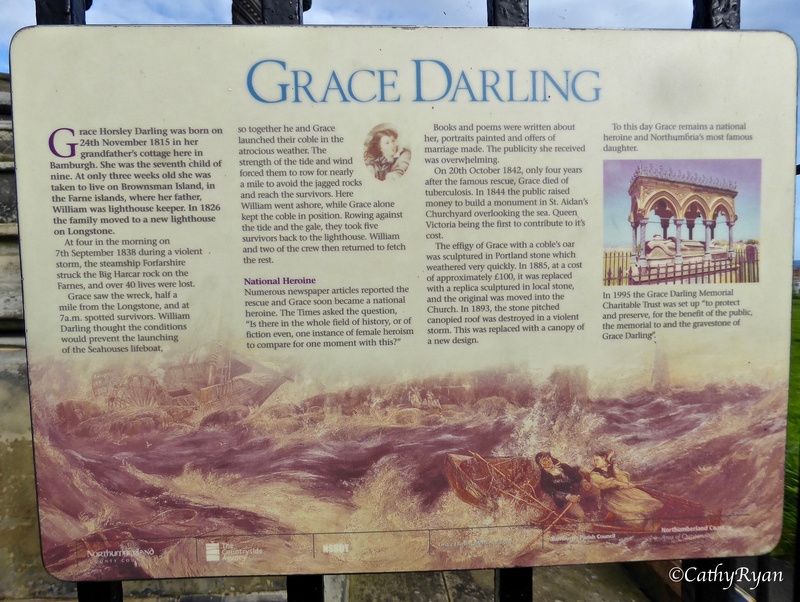 I didn’t know that much about Grace Darling’s story, apart from the basics, before visiting Bamburgh. It’s an interesting and sad one. Her life was quite solitary in that she didn’t go to school, but learned a wide variety of knowledge from her father and they were very close. She was the youngest child of the family and as such was expected to care for her parents as they aged, which she was quite happy to do. Marriage and a family of her own didn’t seem to interest her. 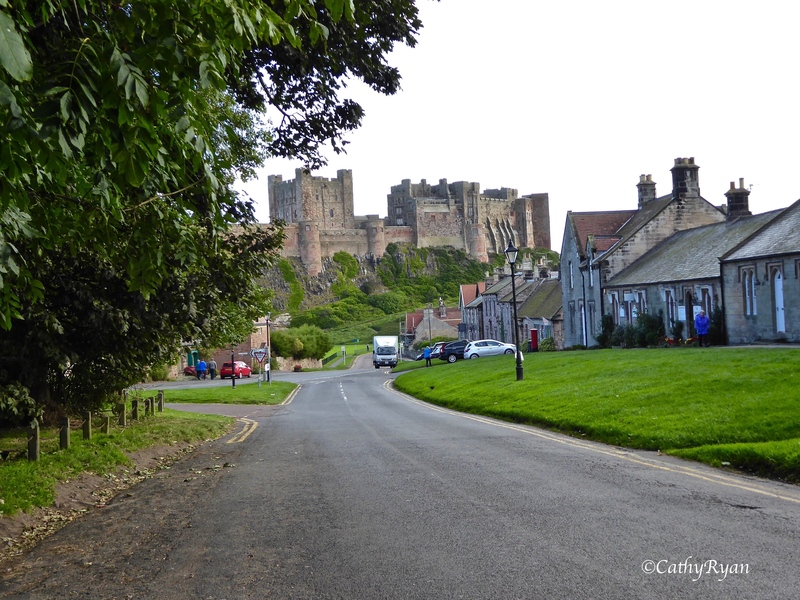 Grace was born in Bamburgh, Northumberland in November 1815. 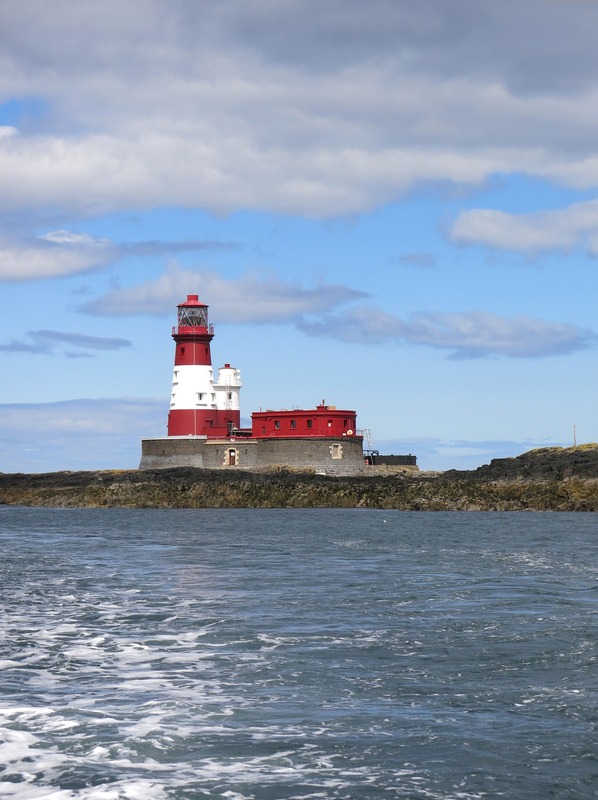 Her father was a lighthouse keeper on the Farne Islands and Grace spent a good part of her youth in the lighthouses with her father, learning about the factors affecting the sea and the climate. In 1838 the paddle steamship SS Forfarshire, sailing from Hull to Dundee, ran aground on rocks off the outer islands. Grace was watching the storm from her window in Longstone lighthouse and saw the helpless ship wrecked on the rocks. She and her father watched for any signs of survivors but saw none. Grace carried on watching until daylight, which was when she saw movement on the rocks. During the rescue that followed, which was at Grace’s insistence, she and her father saved the lives of eighteen people. Grace became a national heroine but hated the attention, the lack of privacy and the pressure it brought. Her health began to deteriorate and she died of tuberculosis in October 1842. She was 26. What an interesting story! Grace was so young when she died. I wonder what she would have thought of her memorial? I think it’s quite beautiful, but I can see how she might dislike the attention just like she disliked all of the fuss that was made over her after she saved those people’s lives. I think she probably would wonder why people made so much of a thing about her. I get the impression she was quite happy living a quiet life by the sea and didn’t consider herself a heroine. Good answer. I agree with you! 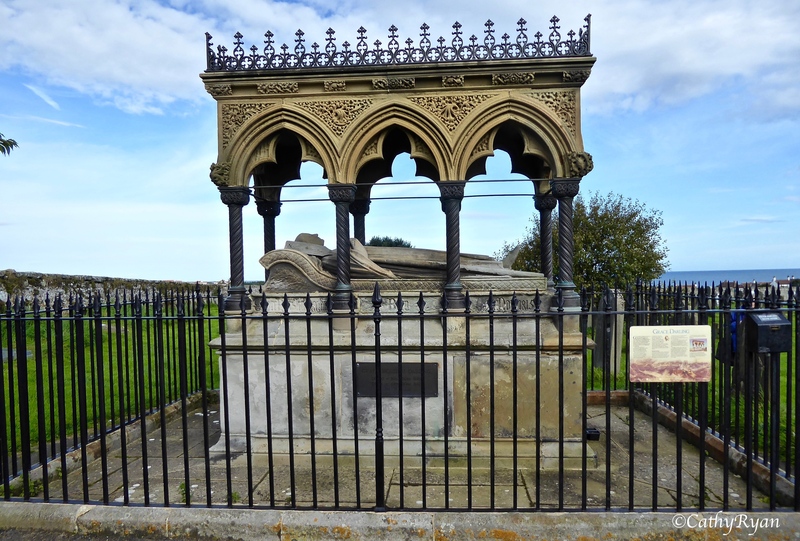 I too had heard of Grace Darling and her bravery but had no idea about her life in general.. great post by Cathy Ryan.. I remember reading about Grace in a Ladybird books too many decades ago to mention. Thanks for posting this,Cathy. I knew the story, but not that she was only 26 when she died. In a classroom in my primary school we had a painting of Grace and her father rowing out to rescue the survivors. It may have been the one on the bottom of the information board. The other painting we had in the classroom was The Boyhood of Raleigh. Funny how things stick in your mind. Yes, it is 🙂 That’s a story that would though, I think. 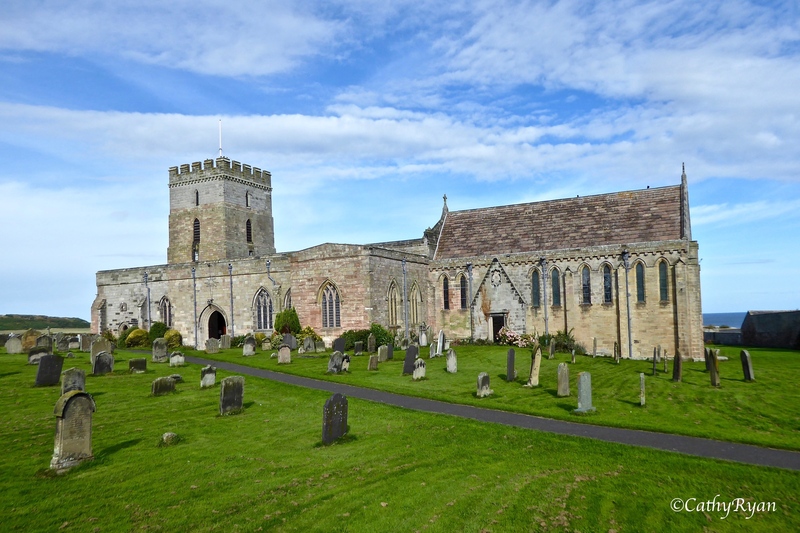 A beautiful post Cathy and I had heard the story about Grace before. She had always been very private and the attention would have caused her a lot of stress. She is remembered with so much affection that hopefully, on the other side, she knows her acts of kindness were appreciated. How sad that she died at such a young age. It sounds like she was happy with her life, and she certainly left an impact on others, especially those whose lives she saved. Thank you, Tess 🙂 I’ll definitely go back.